Serendipitous is an adjective that describes accidentally being in the right place at the right time, like bumping into a good friend in some unusual location or finding a hundred dollar bill on the ground. The word could also be used well in describing the inception of the band ZFG. Within its ranks, you’ll find seasoned songwriters and performers of which you may be familiar, but sometimes the sum of the parts is beyond expectations and lends itself to being genre defining. Based in Los Angeles, CA, ZFG consists of Jules Galli on vocals, Trev Lukather on guitar, Sam Porcaro on bass and Josh Devine on drums. The members were close friends in different projects but decided to get into the studio for fun with a new approach in mind, making music with no rules or boundaries. “Zero Fucks Given” is what they called their first day in the studio, which led to their band name ZFG. After writing and recording together on day one, the chemistry was undeniable, so the decision was made to forge their individual projects into one. By melding anthemic, hook-filled melodies within funk rock guitar riffs and groove rock beats, the band shows their ability to compact a vast array of influence and experience into a signature sound with substance, style, and soul. As serendipitous as the making of the band may have been, ZFG runs with a different mindset when approaching the music they write by not restricting themselves to purely rock-style songs. ZFG’s music is infused in an alternative, pop, R&B and a hybrid of other styles. ZFG’s radio campaign recently launched for their single “Special” and landed #2 MOST ADDED spot on the Billboard (BDS) Mainstream Rock Indicator Chart and grabbed the coveted #1 MOST ADDED spot on the Foundations (SMR) Chart. “Special” lands among the Top 10 Greatest Gainers on BOTH the Billboard Indicator & Foundations Chart! 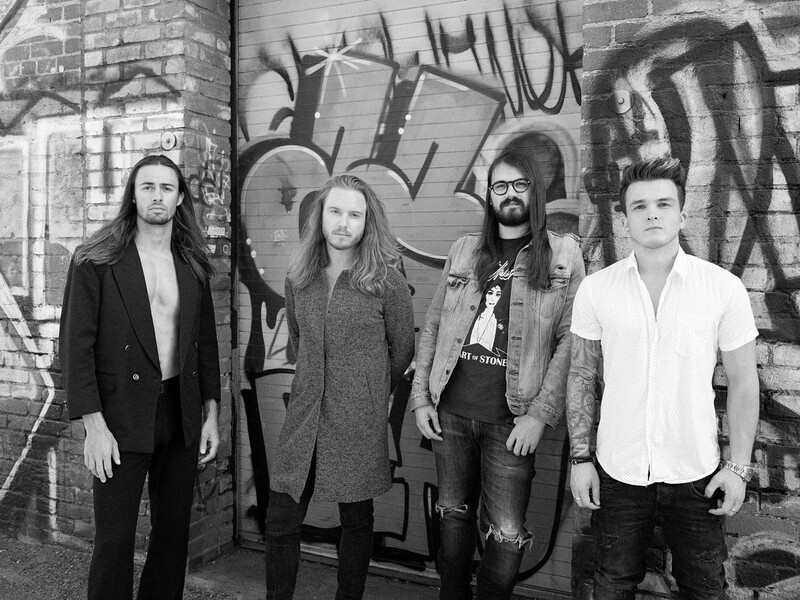 The band will embark on their first tour Spring 2019 with Adelitas Way and The Winery Dogs (dates below). Fans can get a taste of their upcoming EP with the release of a lyric video for their single, “Special” (Click on image below).